March 19, 1911 – Over two-dozen firemen are overcome by smoke and fumes on a day in which 71 fires are reported in the city as a fire rips though Warehouse “B” of the Monarch Refrigerating Company plant at 40 East Michigan Street. The flames are fed by a million pounds of butter, and the thick walls of the plant, along with the small refrigeration cells within it and narrow hallways connecting them make it nearly impossible to get water onto the blaze in sufficient quantities to do much good. Chief Arthur Seyferlich of the second battalion is among the first to reach the fire and helps to carry injured firemen down fire escapes. He is overcome by smoke in his second search of the building and has to be rescued by his brother. Fourteen horse-drawn fire engines work on Cass Street, four more work on Rush Street and another four are placed at Michigan and State. The fire, which most probably results from frayed wires on the fifth floor, burns for days. Lost in the fire are 764 cans of eggs that the United States government had seized as evidence on the ground that they contained “putrid matter.” The eggs were to be presented as evidence before Judge Kenesaw Landis the following week. 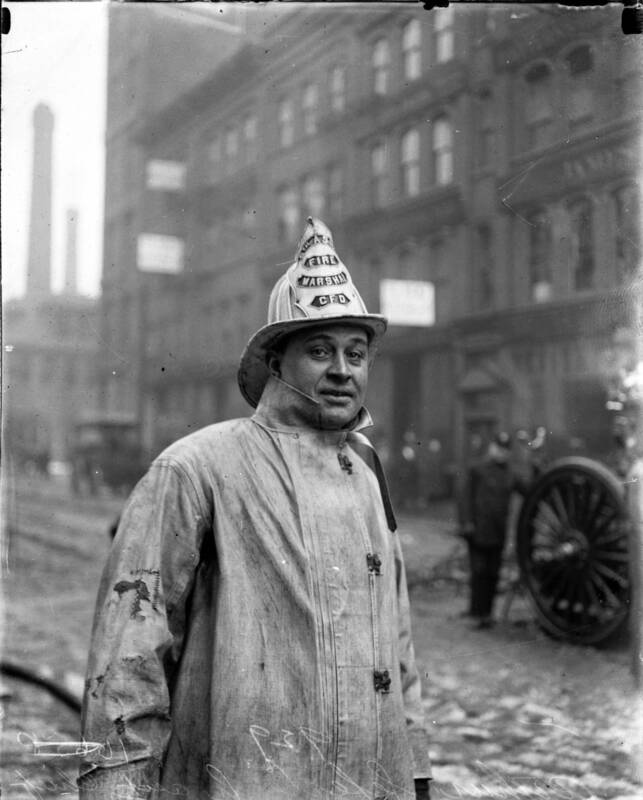 Chief Seyferlich, who served as Chicago's Fire Marshal from 1921 to 1926, is pictured above. March 19, 1928 -- The Morrison Hotel, the first building outside of New York to rise more than 40 stories, is selected by Mayor William Hale Thompson's Radio Commission as the building on which the "Lindbergh Light" will be placed. The hotel agrees to pay for the cost of the 200 foot tower on which the light will sit and assume the responsibility for its maintenance. In 1927 Mr. Elmer G. Sperry, President of the Sperry Gyroscope Company, offered the beacon, which will be seen for 250 miles, providing that Chicago find a way to mount and maintain it. GREAT NEWS! But it didn't work out. A competition began between two great beacons, one proposed for the Roanoke Building on La Salle Street and Mr. Sperry's Lindbergh Light. 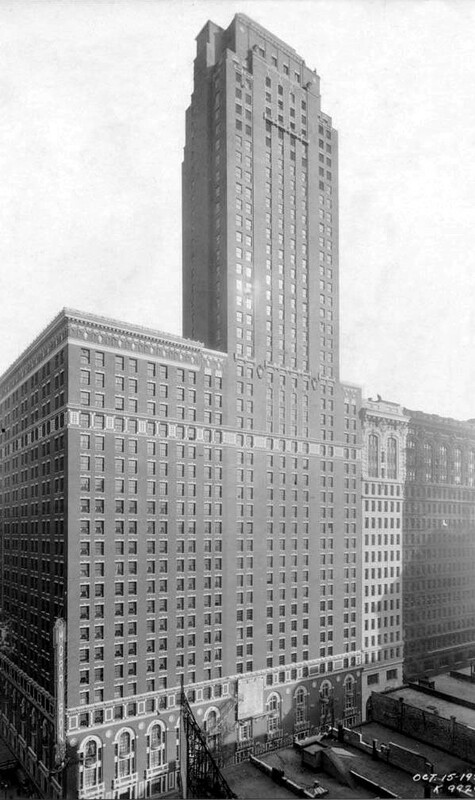 In the end a stationary beam was placed on the brand new La Salle-Wacker Building and the Lindbergh Light ended up at the top of the Palmolive Building, completed in 1929. It turns out that Elmer Sperry never saw his controversial beacon. He died two months before it cast its first beam into the Chicago night. The Morrison Hotel was demolished in 1965 to make way for the new First National Bank of Chicago building, now Chase, at Clark and Madison.